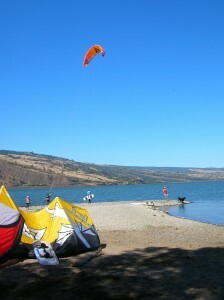 Some say this is one of the best launch points in the gorge with superior wind patterns. It’s one of the most dog and kid friendly sites due to the lack of cliffs, traffic, and other danger points. But also because the overall attitude is mellow. Hotshots may not enjoy the vibe.